Working for Complete Canine Training presents many opportunities for growth and life experiences. In our minds there is nothing better than completely transforming a dog’s behavior or creating a true working K9. Dog training is not for everyone and our selection process is very selective. Any applications selected for interviews require a background check and drug test to be completed prior to the interview. 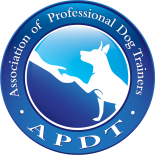 The Training Apprentice program is for individuals with under 2 years experience or no experience training dogs. This is a non-paid position for the probationary period. In this program we will teach you the skills needed to train dogs. The training apprenticeship will initially cover basic and advanced obedience, with the option of working K9 training. An obedience trainer will work with civilian clients and their dogs. Applicants must be self starters who are motivated! This is currently a part-time position with the option for full-time work. Prior experience required, 2+ years preferred. Applicants should have a basic understanding of canine behaviors, and behavioral shaping techniques. Will include a working interview. Our Working Dog Trainers will work with a variety of K9s, tasked with different jobs. 2+ years of K9 experience are required for this position. Exceptions can be made on a limited basis. This is currently a part-time position with the option for full-time work. Applicants should have a basic understanding of scent detection, tracking, and patrol K9 training. This is a very physically demanding position. Will include a working interview. Check back regularly to see new job opportunities. Complete Canine Training is an Equal Opportunity Employer. We are committed to equal treatment of all employees without regard to race, national origin, religion, gender, age, sexual orientation, veteran status, physical or mental disability or other basis protected by law. Because of the nature of our work all applicants will be required to pass an initial drug test as well as random drug tests.